The newest DVD and download from The Mother Company tackles difficult topics–such as what littles should do if they get lost, how to spot a sketchy situation, and how to be the boss of their own bodies—with intelligence, wit and charm. Most impressively, it gets to the point while keeping things light – without an ounce of fear. Inviting artistry, sharp writing, and a pitch-perfect hostess who blends the best qualities of Mister Rogers and Mary Poppins make this a delightful pick for parents and kids to enjoy together. A Life-saving show…While we can’t shield our kids from everything, we can give them tools to protect themselves. One not to miss: Ruby’s Studio: The Safety Show, a new video from The Mother Company. We Are Mamas On A Mission. The Mother Company was founded by moms on a mission to Help Parents Raise Good People. 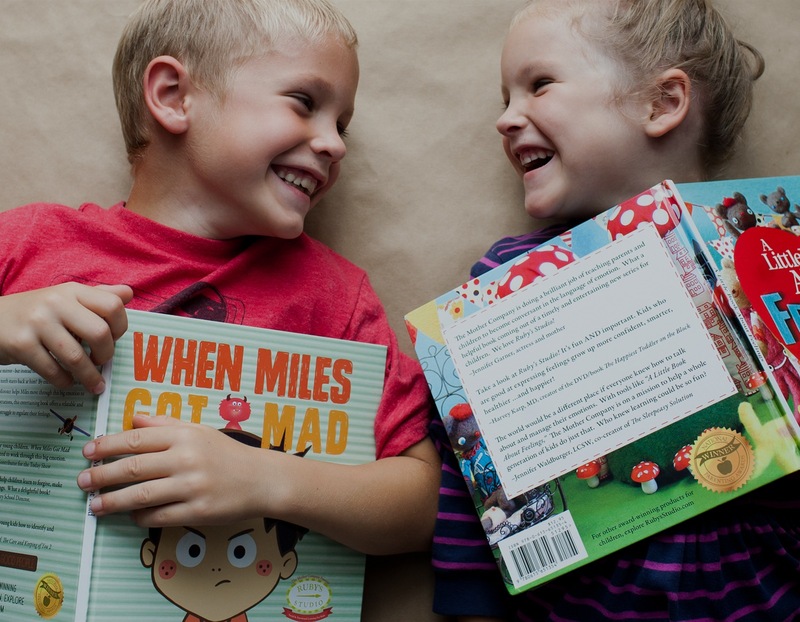 Our award-winning products for kids and expert resources for grown-ups explore the social and emotional topics we think are essential to raising a generation of kind, compassionate, considerate kids. Join our community and tell us what matters most to you! GET ALL the latest buzzzz!